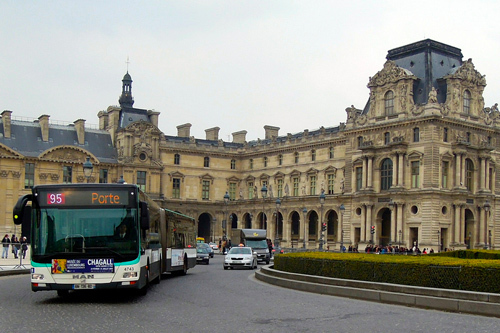 Getting around Paris by Bus - all the necessary information about Paris buses: timetables, prices and routes. The Paris Metro is unquestionably the most popular means of transport in the French capital, but, for areas that the metro doesn't reach you can still rely on the bus network which includes the night buses. In fact, when the metro service finishes at midnight, the night buses come into operation. These are called the "Noctiliens." On the other hand, the Tourist Bus which is run by the Town Hall is another matter. It is extremely cheap and for that reason, an option worth exploring. 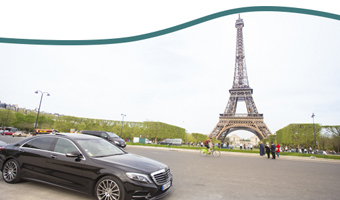 In the paragraphs below, we will provide more details about the Paris bus services and when you should choose to use them. The number of daytime bus routes are plentiful and they spread out like capillaries across the capital. It is not unusual to prefer the bus over the metro so that you can hop off at the stops which are closest to the places that you want to visit. 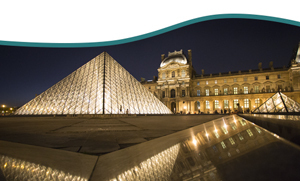 One example out of many could be to arrive at the Champs de Mars in the Latin Quarter, instead of using the subway, you can use the bus route number 85 which will stop just a stone's throw away from the Eiffel Tower. Unfortunately, not all the bus stops display a transport map of the city but you can always download a very useful App. By down-loading the App, you will be able to check in real time when the next bus is due and thus you can organise your trips around the city quickly and easily: Download Paris Transport App . 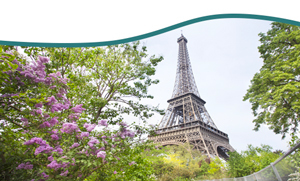 The Paris metro provides a daily service from 05:00 in the morning until approximately midnight whilst on Saturday nights, it is operational until 02:00 in the morning. If you want to go out dancing or enjoying a cabaret show until dawn, this will take you beyond the scheduled timings for the metro and it is then useful to know that you would still be able to catch a night bus or call a Public Taxi. The night buses run from 03:00 until 05:30 so they cover the time zone during which the metro and the RER are closed. If you think there is a chance you might stay out until late, then we would also recommend that you download the public transport App or, if you're not very technologically minded, you can print off and check the Map of night buses in Paris. The Balabus is actually just a simple bus line that does a worthwhile trip around parts of the city. That seems like a good idea, doesn't it? You pay the price of a normal bus fare and can enjoy great views of the city at a really competitive rate. Because it is a bus service that covers a usual route, it obviously doesn't have anything to do with the classic double-decker tourist buses. In fact, on the Balabus, you would not have access to an audio guide and the service only runs on working days from April to September. The Hop on Hop Off bus which is in service every day of the year from 09:00 to 21:00 is still the best solution for those who wish to travel around the city getting on and off the bus as and when they want. The price starts from €31.00 per day. For more information, please visit the web page: Tourist Bus Tickets. The Archi-bus and the Montmartrobus work in more or less the same way as the Balabus. In other words they are standard line buses which also do tourist routes around the city. The former concentrates more on the areas and monuments which are considered to be part of France's contemporary artistic heritage whereas the Montmartrobus operates a tourist route through the wonderful and typically characteristic district of Montmartre. In both cases, the price is that of a single bus fare. In general, the price of tickets in Paris is the same on the metro, the RER and on the buses. The price varies depending on the area but in general, a tourist who is visiting the capital will be focussed on travelling in and around Zone A. Tickets can be bought at the entrance to the metro stations and also on the buses. However, this does mean that the bus tickets will only be valid for a single journey. The price of a single fare is €1.90 (Zone A). 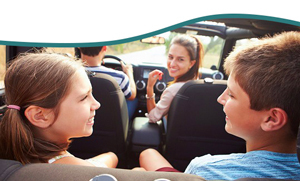 Our advice is to buy a T10 Pass ( Zone A at €14.90) or a T20 Pass (Zone A at €28.00) which means you will benefit from discounted pricing and will also be able to share the tickets amongst the friends or family with whom you are travelling.